The personal trainers Masterclass: Seven Steps to building a PT Studio that Works. Click the button now to join me for this free Masterclass for personal trainers thinking about owning their own Personal Training Studio in the near future. 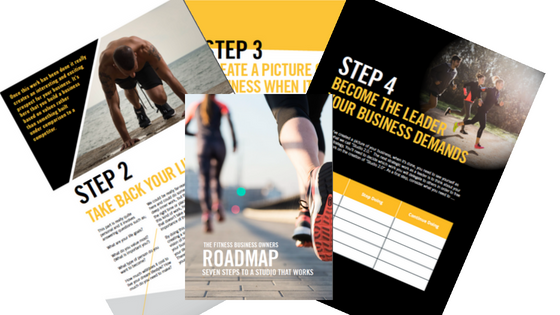 The 7 steps to a Personal Training Business that works even in an overcrowded City of Personal Trainers, gyms and diets! I’ll give you seven real-life processes you can use right away that draw from what works in the world’s best companies. We’ll work together to start closing the gap between the PT business you have, and the one you really want. I want you to be able to apply these principles to get results as soon as possible. So I’ll be walking you through some actions you can take for the next week after the Masterclass, taking your questions, and I’ll show you how to get even more help from me if you want it. Joe is someone who I’d encourage everyone who’s in the fitness industry, especially who wants to have their own business, to really look at what he did. I’ve seen what he did and I’ve been to his facility and I’ve seen what goes on there and it’s amazing, it’s remarkable, so he’s someone I’d definitely follow if I was looking to upskill myself and copy success. Joe will be in touch shortly. Check your inbox (and Spam) as the email may have jumped in there. If this hasn’t arrived for whatever reason please email joehanney@me.com and we’ll look in to this asap.